The life of Jesus is extraordinary for many reasons. His miracles attest to His divine nature, His teaching the will of His Father and His love for all men evident throughout His life. One of the proofs of Jesus being the Son of God is fulfilling prophecies written hundreds of years before His birth. Matthew’s gospel is especially keen in pointing out numerous times how the Lord was the embodiment of every promise the Jews were told would be found in the Messiah. Jesus was from the lineage of Abraham. His birth in Bethlehem was the fulfillment of Micah’s book, fleeing to Egypt came from Hosea and many passages from Jeremiah and Isaiah fill the gospel of Matthew showing Jesus of Nazareth was the promised Son. Following the conflict with the devil in the wilderness, Jesus came to Capernaum on the western shore of the Sea of Galilee. This would be a frequent place for Jesus to return as the Holy Spirit referred to the city as “His own city.” Isaiah had prophesied the Messiah would find Himself in this insignificant city and what a change would take place for the people there. Walking by the Sea of Galilee Jesus called Peter, Andrew, James and John to follow Him. Isaiah declares the people of the region would see a great light when the Messiah came. Jesus began teaching the multitudes repentance and the coming of the kingdom of heaven. No one had heard this kind of teaching before. His presence was not like the scribes and Pharisees. Jesus of Nazareth was a remarkable man with a remarkable message. Jesus fulfilling prophecy was according to the will of God. It was necessary for the people to see the man standing before them was not just an ordinary man but one who could turn to scriptures from the Law and Prophets and declare it was speaking of Him. Jesus living in Capernaum was not evidence in the beginning but it was the start of a long list of testimonials rooted in the Law, Prophets and Psalms. The miracles of Jesus showed His power over disease, nature and demons. His teaching astonished the people. His life proved from prophecy that He was the Son of God. The student of the Bible should realize the Old Testament is about Jesus. Fulfilling prophecy is the proof the man from Nazareth is the Son of God but it also directs the Bible student to learn more about the Son of God from the Law, the Prophets and the Psalms. 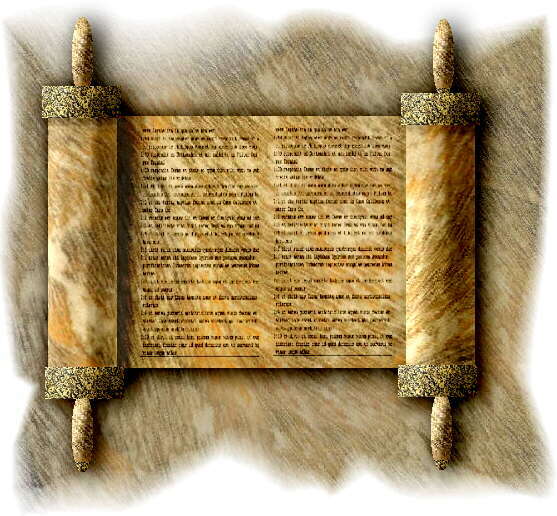 Matthew’s gospel unveils many of the Old Testament passages fulfilled in Jesus. As you study the New Testament, return to the passages of old that speak about the Christ and learn more about Jesus from the Old Testament. He is there in bold print. His message is clear. He is the Son of God, our Savior.